1. Start meal planning. This will save you THOUSANDS of dollars and save you hours of your life. 2. Pack leftovers for lunch. This will save you about $2,000 a year. 3. Eat breakfast at home. Whether it’s eggs, a smoothie or a cup of yogurt, it costs much, much less to make your breakfast at home. 4. Get a travel mug. It costs about $.25 to make a cup of coffee at home. 5. Never rent a movie without a Redbox code. 7. Shop around for insurance deals. 8. Call your service providers and get your bills lowered. 9. Ditch cable and find a streaming service you love. 10. Pay off your credit cards! This will save you thousands in interest. 11. Switch to a cell provider like Straight Talk or Republic. 12. Use Ebates when shopping online. 13. Use your library for EVERYTHING. 14. Buy your meat in bulk from Sam's and Costco. They will allow you to order larger quanities at a discount. 15. Consider going meatless a few times a week. 17. Use half the laundry detergent you’re “supposed” to. 19. Accept hand me downs for things you need. 20. Borrow instead of buying. 21. Go to Craigslist before you hit up the store. 22. Ask yourself these questions before spending money. 23. Install low flow shower heads. 24. See if your power company has peak hours. 25. Wait 24 hours before making a big purchase. 26. Ask for discounts (seriously, this works. I even saved money on hospital bills just by asking). 27. Use coupon apps like Ibotta and Walmart Saving’s Catcher. 30. Take steps to make your produce last longer. 31. Batch your errands by location to save money on gas. 32. Ask if your power company has rebates for buying energy efficient appliances. 33. Always look for coupon codes when shopping online. 34. Sign up for your local park’s and recreation email newsletter or mailing list so you know what free events are happening. Or follow them on Facebook, because that’s easier. 35. Don’t feel bad for saying no to friends selling things. 36. Make your own chicken stock and yogurt. 37. Switch to a foaming soap pump (this works great for shower gel too). 38. Ditch ziplock bags in favor of reusable snack bags and containers with snap lids. 39. 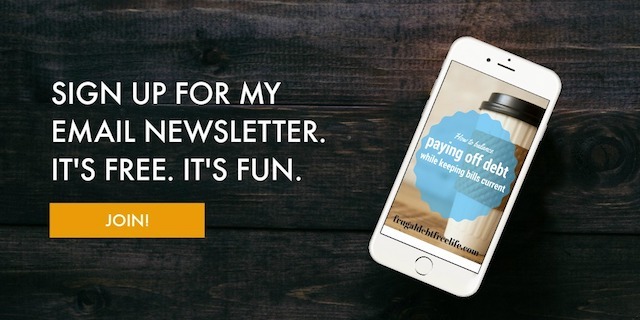 See if signing up for auto pay will save you money on your monthly bills. 40. Invest in a sweater shaver to keep clothes looking new longer. 41. Consider room darkening shades to keep rooms cooler or warmer as needed. 42. Use Swagbucks to get free gift cards. 43. Ask for customer appreciation discounts. 44. Do not pay for phone insurance. 45. Buy your phone refurbished.